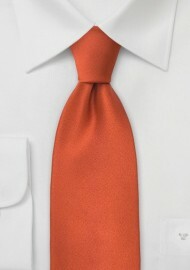 This orange necktie is perfect for the spring and summer season. 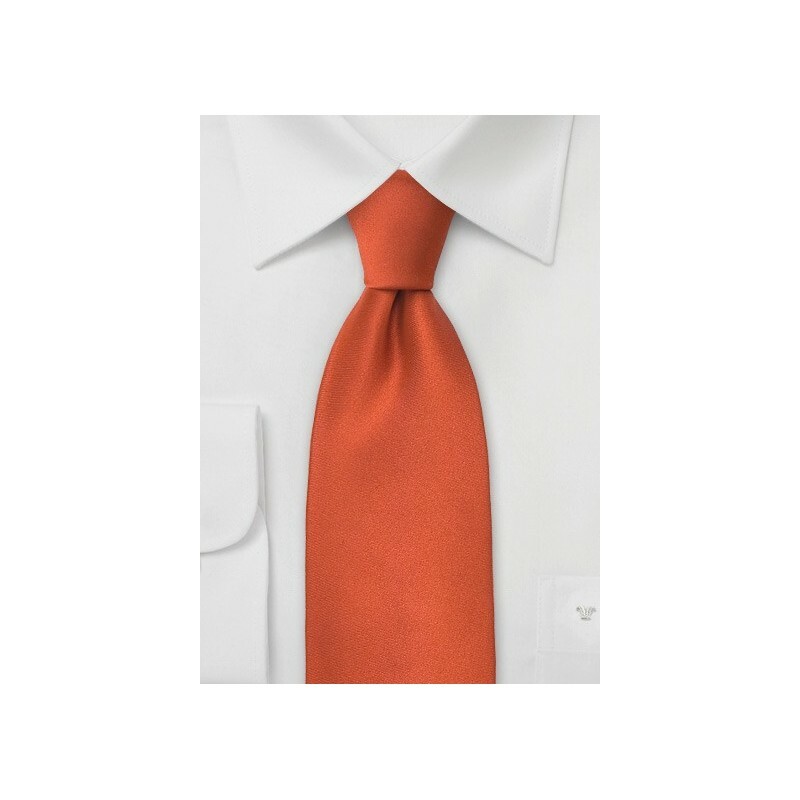 The bright persimmon-orange color of this tie will instantly add a more vivid touch to any shirt and suit. This tie is made in extra length of 62 inches. Extra long ties are recommended for men that are taller than 6 foot 3 inches, and/or have a larger than normal neck size. Handmade from pure jacquard woven silk by tie designer Parsley. This tie is also available in regular length. Extra Long Length: 62", Tie Width: 3.5"